Preventing unnecessary hospital admissions is very important these days, federal health care laws and regulations are changing and constantly talked about in the news, and you of course expect quality. Saving money is a concern, and lowering medical bills and expenses is actually possible. And staying right at home is that much more convenient and definitely more comfortable, as our services Assure Your Health Needs at Home. 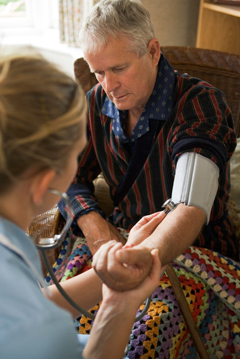 Our skilled nurses are integral to the home health team. We provide the most professional and best quality care for your loved ones. Learn about the nursing services we provide! We provide the best therapy services for your unique situation. We offer Physical, Occupational, and Speech-Language therapies for a wide range of needs. Our state certified home health aides are trained to assist patients with personal care, hygiene, grooming, light house cleaning, and assist with other activities of daily living when the patient is recovering from an illness. Learn more about Assured Home Healthcare and how we manage your home health care needs.